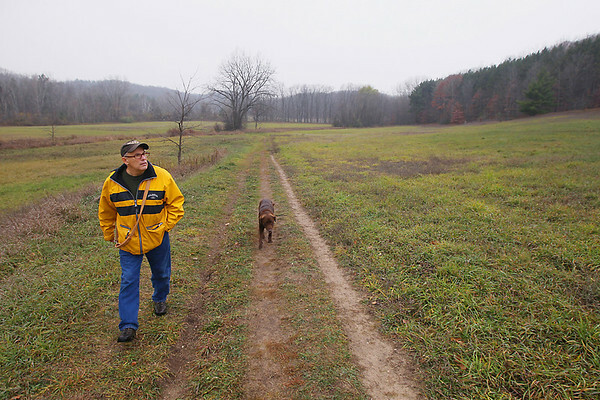 Doug Hillock, of Traverse City, and his chocolate lab, Gus, walk Friday, November 9, 2012 at Hickory Meadows in Traverse City. "You keep moving ahead," Hillock, who along with his dog, walks every day, said. "Sometimes it's not as fast as you'd like but that's ok," Hillock said.